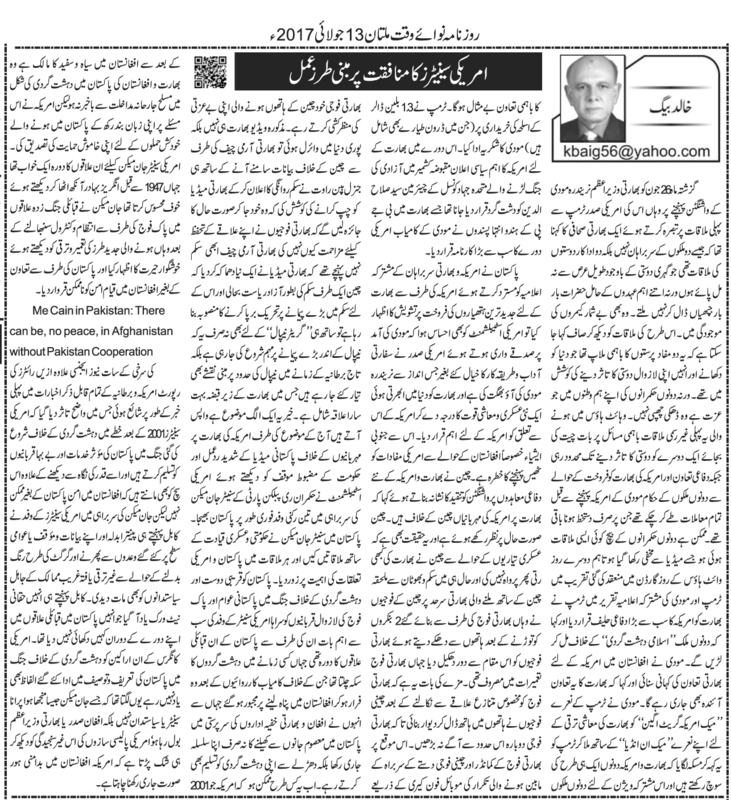 Truth by Kbaig: Hypocrisy of American Senators! Last month on 26 June 2017, according to an Indian journalist it seemed that the meeting between Modi and Trump in Washington DC was not a meeting between heads of two states but between two actor friends who have met after a long separation otherwise the heads of two states do not hug each other again and again especially in the presence of media. It can be easily said that it was meeting of two opportunists who were trying to pose in front of the world that they have the everlasting friendship. The prestige of the both leaders in their public does not need to be explained here. This first informal meeting in the White House was limited to the photo-session of EVERLASTING friendship while the sales of defense equipment and other deals have been finalized before the arrival of Modi in Washington DC by the officials of the both countries; Modi and Trump had only to sign them. 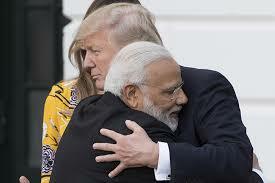 Possibly there might have been such a meeting that has been secret from the media, however, on the second of Modi’s visit, while addressing the dinner at White House’s Rose Garden, Trump termed India as the greatest ally of India and said that both countries will join hands against Islamic Terrorism. Modi told the story of Indian support in the Afghanistan and hoped that Indian support would continue in future as well. Modi chanted the Trump’s slogan “Make America Great Again” with the addition of “Make in India” posting that USA and India have similar ideologies and thinking and the cooperation between the two nations would be exemplary. Trump thanked India for deals of American war industry including drones valuing up to 1.3 billion dollars. The important announcement of USA in the said visit was the declaration of Syed Sallah-ud-Din, Chairman of Muttahida Jihad Council as terrorist which is being termed as a great achievement of India by BJP and big achievement of Modi by Hindu Extremists. Pakistan rejected the joint declaration of Indian and American heads of state expressing concerns over the sale of latest weapons to India. 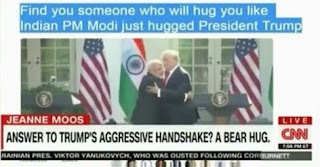 American establishment also felt that while playing love drama with Modi in the way Trump left aside the diplomatic values and termed India as rising military and economic power which is most important for the USA, such statements will create problems for US interests in South Asia especially Afghanistan. China criticized Washington over the India-China defense deals terming them a preparation against China. This is also a ground reality that China has never considered the war preparations of India. 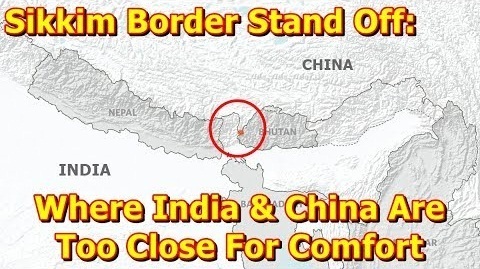 In recent months on the India-China border at Sikkim and Bhutan Chinese soldiers destroyed two Indian bunkers and pushed Indian soldiers backward from the point where they were busy in construction. After expelling Indian soldiers from the specific disputed area, Chinese soldiers made a human wall by holding each other's hands so that Indian soldiers cannot enter into the area. The verbal fight between Indian Commander and Chinese Commander was recorded by the Indian soldiers on their mobile phones. This video got viral not only in India but all over the world. In order to minimize the insult of Indian troops by Chinese, General Rawat issued statements against China and announced to visit Sikkim himself to investigate that why Indian soldiers did not resist against Chinese army. 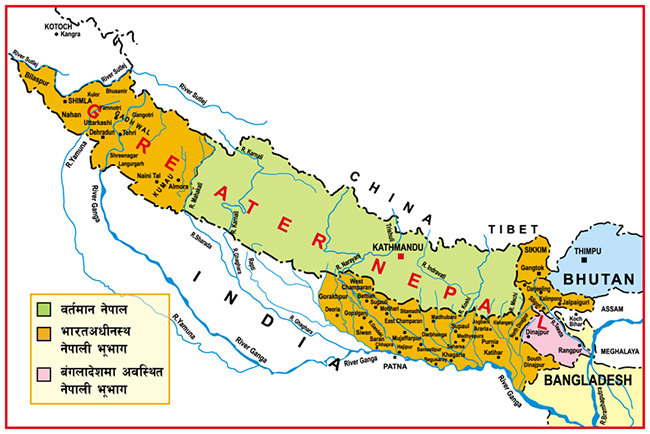 Indian Military Chief was still planning to go to Sikkim that Indian media broke the news that on the one hand, China is planning revolution for reinstating Sikkim as an Independent state while on the other hand, working for Greater Nepal. Not only this, the maps of Nepal during the English reign are being prepared in which great area under the occupation of India has been designated as a part of Nepal. However, this is a separate discussion. Such aggressions from the Indian soldiers and mischievous invasion in Chinese controlled areas are due to the American support. It has been learned that the USA has expressed concerns over the India-Chinese tensions especially in the light of the heavy dumping of weapons and construction of military installations at Sikkim. 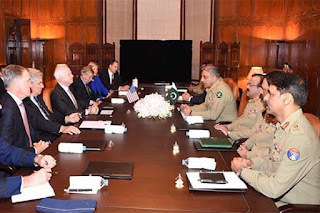 Considering the reaction of Pakistani media and government’s stance against American support to India, US establishment decided to send an envoy led by US Senator John Mc-Cain of Republican Party. They met with Pakistani govt. and military officials and reinforced the importance of Pak-American cooperation. Praised the Pakistan’s role and sacrifices in the war against terror. The most important point of their visit was the visit of those tribal areas which were once ruled by terrorists who have now fled to Afghanistan after Pak army’s operation. They continued their terrorism in Pakistan from the safe heavens provided to them by Indian and Afghan secret agencies in Afghanistan and acknowledged their terrorist activities proudly as well. How is this possible that after 2001, USA is the sole controller of the Afghanistan and is unaware of the Indian terrorism in Pakistan via Afghanistan? However, USA kept silent over the Indian terrorism and supported Indian terrorism through her silence. Visit of these areas once being a stronghold of Indian terrorists was not less than a dream for John Mc Cain. An area where English did not dare to go before 1947 but now under the control of Pakistan Army the observing the development of these areas, McCain felt amazed and claimed that without cooperation from Pakistan, peace in Afghanistan is impossible. This was reported with the above quoted heading in Reuters and other Western newspapers in which they tried to pose that US Senators praise and acknowledge the sacrifices of Pakistanis against terrorism since 2001 and also realize that peace in Afghanistan without Pakistan’s cooperation is impossible. 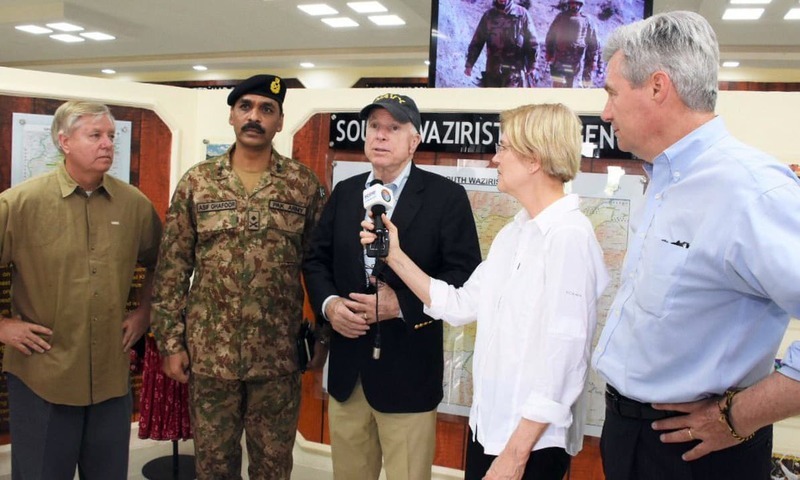 In South Waziristan... John McCain 'No peace' in Afghanistan without Pakistan's cooperation. 850 Tons of Dynamite Stolen from Indian State Rajasthan…! Memo Scandal Jolting Pakistani Politics cannot be Just a Piece of Paper..! Reason for Indian Enmity towards Pakistan!